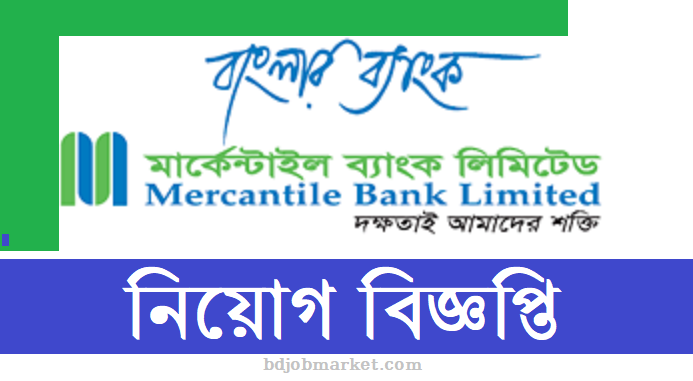 Mercantile Bank Limited Job Circular 2019. The official website address of Mercantile Bank Ltd is www.mblbd.com. This is a good opportunity for the job seekers who want to build a great career in private banking jobs. 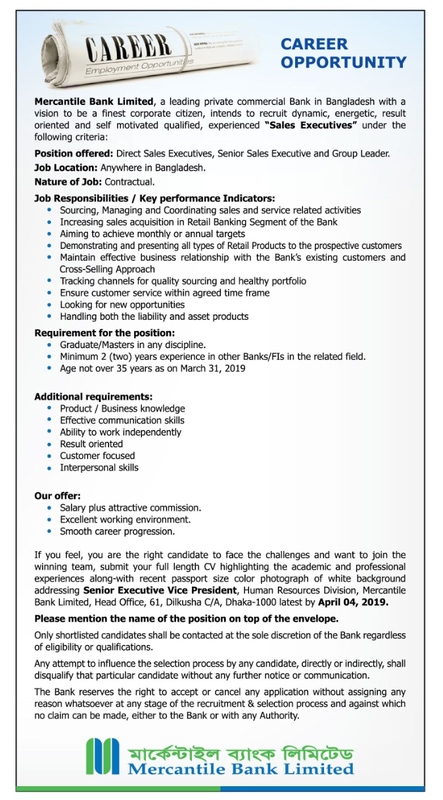 If you are fond of bank jobs then don’t late to apply. In our website bdjobmarket.com you will find all your target jobs information.